Angular implements the MVC pattern to separate presentation, data, and logic components, and to decouple DOM manipulation from application logic. By using dependency injection, Angular allows developers to use services such as view-dependent controllers, to client-side web applications. This reduces much of the burden on the server. Last but not the least Angular comes with Protractor, and end to end test runner that ensures the health of your application. AngularJS is maintained by Google. It is open source and has attracted a large set of developers. AngularJS has become one of the most popular frameworks for web development. Using Angular, we can build complex, yet intuitive and user friendly web applications with less code, less time and less risk. Additionally, by developing responsive single page applications, the user experience remains smooth and uninterrupted. Our AngularJS application development process uses Karma, Jasmine and Protractor for unit as well as end to end testing to build robust applications. iTexico realized the power of Angular early on. In fact we have built multiple enterprise applications using Angular as the front-end framework consuming REST APIs built using Java, Node and .Net. 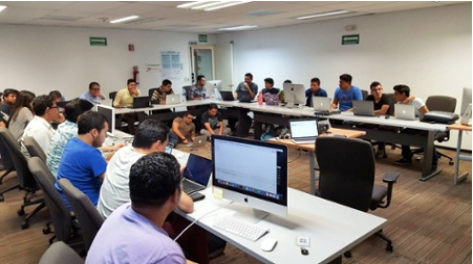 iTexico regularly holds internal and external training for developers on the entire MEAN stack, including MongoDB, Node, Express, Angular and the Loopback/IBM Connect framework.